Through the course of more than five decades and myriad shifting musical styles, the ES-335 has remained one of the most popular electric guitars of all time. Its ingenious blend of hollowbody warmth and complexity and solidbody bite and sustain made it arguably the most versatile guitar available when Gibson introduced the model in 1958, and that design imperative hasnt changed today. For some players more accustomed to the slimmer lines and more compact dimensions of a solidbody electric, though, the standard ES-335 can feel just a little large and unwieldy. 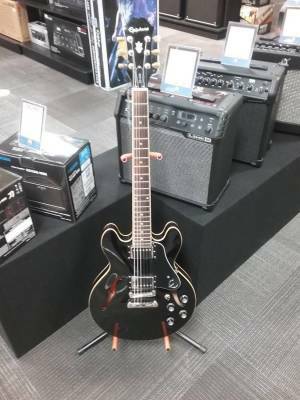 Enter Gibson Memphis's ES-339, a guitar built to the design ethos of its predecessor the ES-335, but fashioned to proportions closer to those of the legendary Gibson solidbodies such as the Les Paul and SG. The gently arched top with real f-holes, thinline semi-hollow body, solid maple center block to reduce feedback and enhance sustain, rounded symmetrical cutaways with unparalleled upper-fret accessall here, minus a little of the bulk and weight. Just picked it up today after putting it on hold after playing it for the first time a few days ago. As a Les Paul player the neck felt very familiar so I didn?t have to adjust to it at all. The fingerboard is very smooth and feels great. It doesn?t feel bulky like a lot of other semi hollows due to the scaled down body. Pickup splitters are an amazing feature. I like to put the neck on single coil and the bridge on humbucker so I can change from a bright acoustic-like sound to a crunchy electric tone. The whole thing is nice and light as well. Overall fantastic guitar, more than worth the amazing price. 10/10 would recommend. I purchased this used from L&M in Victoria. J.F. is outstanding and highy recommeded. It came with a high quality fitted case, and the price was a steal. I've tried quite a few Epi 339's (and 335's) but most of them had irritating quality control issues that made me avoid purchasing. It's a shame, as the design is great and the price is affordable. It seems to me that it takes the same amount of time and effort/investment to make a good one as it does a bad one, but I guess that inconsistency is part and parcel of Epi's Chinese operations. Anyway, this particular example is excellent - not perfect, but very good. A couple of silly blemishes, but nothing that affects the tone and playability. Annoying, but not a deal-breaker. Action and intonation needed to be reset. Easy enough to do. I added graphite to the nut grooves and saddles, and along with a lemon oil treatment of the fingerboard and new strings. Now it feels very nice to play. It holds tuning well, which I didn't expect from many online reviews. Good quality tulip Grover-style machine heads. The smaller design of the body sits well when playing. The body is light (of course), but neck/body feel well balanced. Sustain isn't legendary, but acceptable. Sound through amplification is good, certainly not great. I plan on upgrading the p/ups, probably will do the wiring and switches while I'm at it (although the switches are good quality and not as flimsy as many reviewers have reported). I think this one's a keeper. 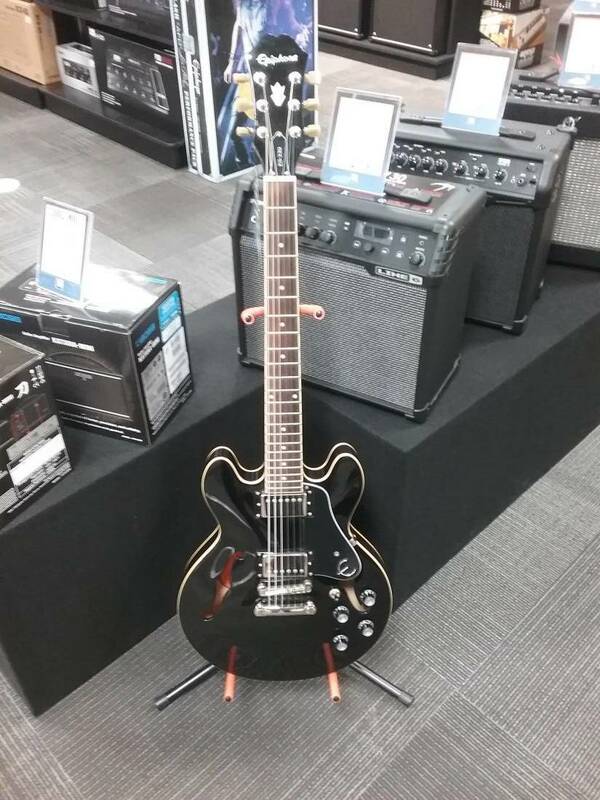 This guitar is a phenomenal guitar for the price that is being paid. The coil-tapping gives even more variety when messing around with tones and sounds. The semi-hollow body really makes the guitar sound powerful when plugged into a good amp. I definitely recommend this guitar for anyone looking for an affordable but still versatile guitar! I have had this guitar for about a year now and it continues to impress me. The variety of sound and great feel is fabulous. Excellent quality, it just needed a little setup to suit personal needs. Incredible value , high quality fit and finish . The setup was near perfect right out of the box. Great range of tones . Coil splitting is a nice feature. Sustain !! . Great sounding pickups . I am happy ! !